Bengalureans will get a chance to showcase their love for the city this Valentines Day. 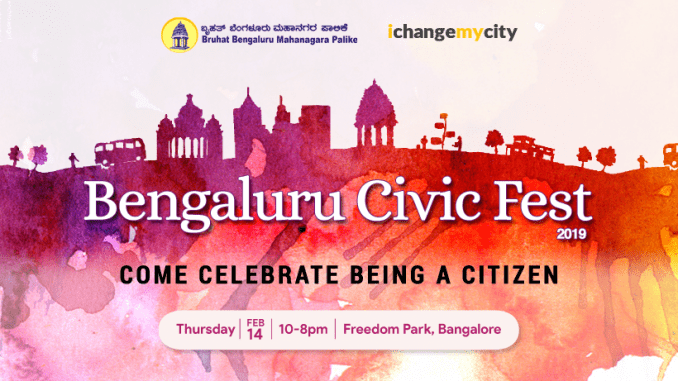 The Bengaluru Civic Fest organised by IChangeMyCity (an initiative of Janaagraha) along with the Bruhat Bengaluru Mahanagara Palike (BBMP) will be held on the 14th of February at Freedom Park from 10 am to 8 pm. The festival will be a platform where various civil society organisations and groups discuss their work, government agencies communicate their work with citizens and school children will discuss their participation with local governments. The festival will see the presence of BBMP mayor and Corporators. Sapna Kareem, coordinator, Civic Participation, Janaagraha, said that there is tremendous energy currently in the city where a lot of citizens are engaging in addressing civic issues and participating in local governance. She added that Janaagraha felt the need for a platform where civil society organisations working on civic issues could share their experiences and knowledge. This will enable other citizens to learn from it, use it in their context or join the effort, she said. 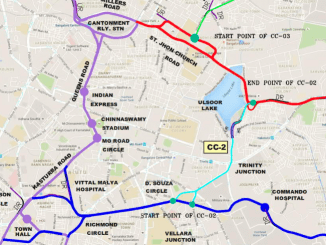 Government agencies such as Bengaluru Metro Rail Corporation Limited (BMRCL), Bangalore Water Supply and Sewage Board (BWSSB) etc have also been invited, where they could communicate their work to the public, and the citizens can interact with them. The Bengaluru civic fest was held last year as well where civil society organizations had participation, but it was held at a small scale. Organisations can register to be part of the fest till January 28th and can reach the organisers on the number 8296806098. Janaagraha has been organising civic festivals for the past decade and the focus has been on children’s participation in governance. During the Bengaluru Civic Fest, children from various parts of the country will display through dramas, poetry and other forms, their work with local governments. Sapna says that as part of their IChangeMyCity initiative, they had invited ideas from children and schools across the country, and children from shortlisted schools will display their work on engagement with local governments. Srinivas Alavilli who is with the group Citizens for Bengaluru says that they are excited to participate in the fest. He says that they are looking forward to discussing especially with the youth and children their work and ideas on sustainable forms of mobility, and strengthening of local governance through the effective functioning of ward committees. In addition, the fest will see a variety of events such as story telling, rock show, theater, magic show, Yakshagana; and will involve the participation of college students in several of these events. Is it a lack of will or something else? At a time when everyone feels Bengaluru is down in the dumps, V Ravichandar gave a stirring TEDx talk on 4 April, 2013, on how there is plenty to hope if civil society, businesses and the government can join hands. How does one participate in this event Ms MadhucHndrika is a renowned artist and a champion for social causes. Please email me and let me know if there is a selection process. Note: This comment has been edited to suit comments policy. 2. In Layouts people are being charged for BBMP Works. Hand in glove with BBMP local RWA’s are siphoning money from landlords and tenants alike in the name of Government approved BBMP works e.g. water supply and sewerage. 3. Parking violations across roads especially on main roads and during peak / non -peak hours despite No-parking boards. Officials are unwilling to help despite proofs, photos and videos. Creating helplines and meetings to pledge will not work. I am willing to understand more and share more details if needed. However given the past experiences people have had with officials and absence of their commitment to weed out such issues, you might expect a good turn around for the event than actual participation in making the city better. How do you intend to solve this?? ?